Good news – Kansen Chu has introduced a new legislatve bill to formally combat odor problem in our area. 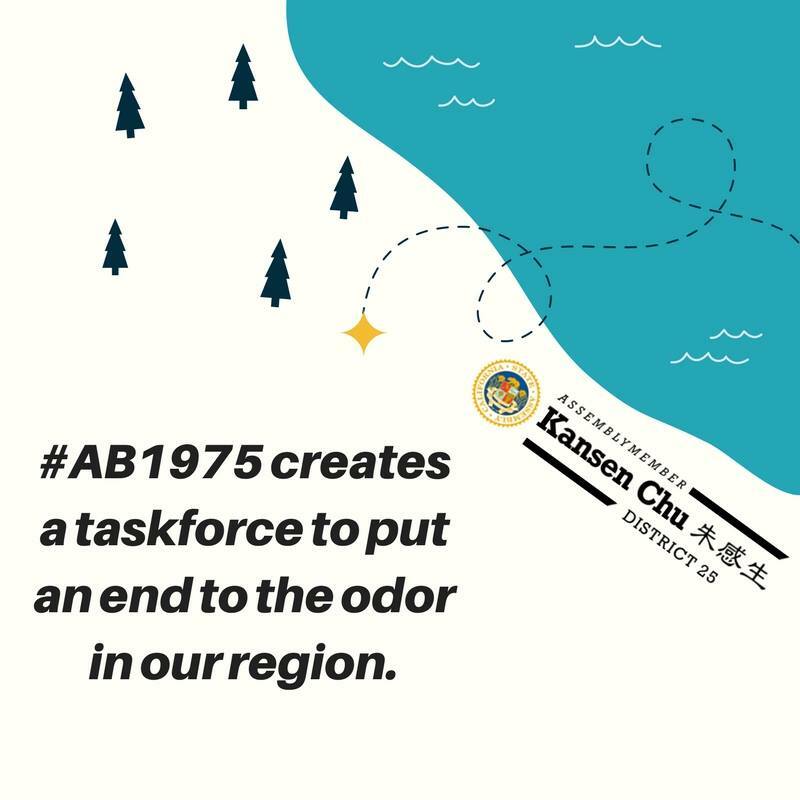 (Sacramento, CA) – Assemblymember Kansen Chu (D- Milpitas) introduced legislation today as a direct response to ongoing odor issues in and around the South Bay area. The bill, AB 1975, would create a taskforce to study all potential sources of emissions in Assembly District 25. AB 1975 will be before policy committees in early spring.